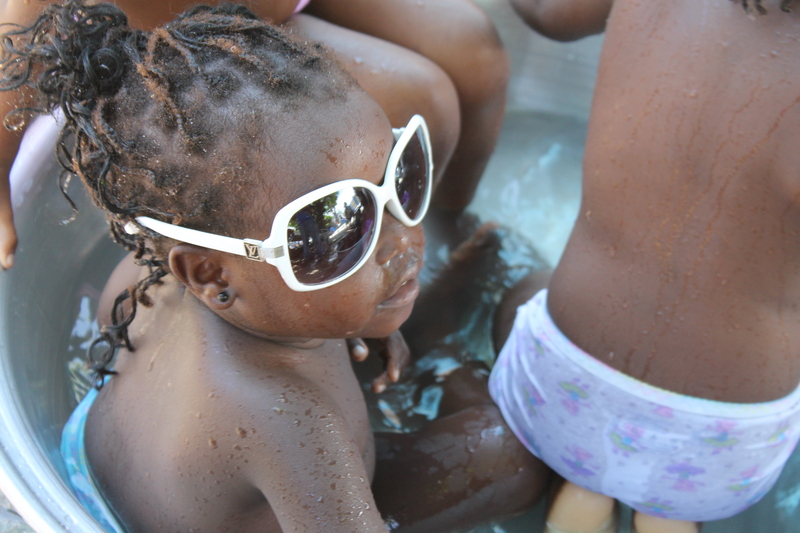 My second day in Haiti we decided to have a pool party for the kids at LMT Orphanage. We brought stainless steel basins from HC, bubbles, towels and new clothes with us. 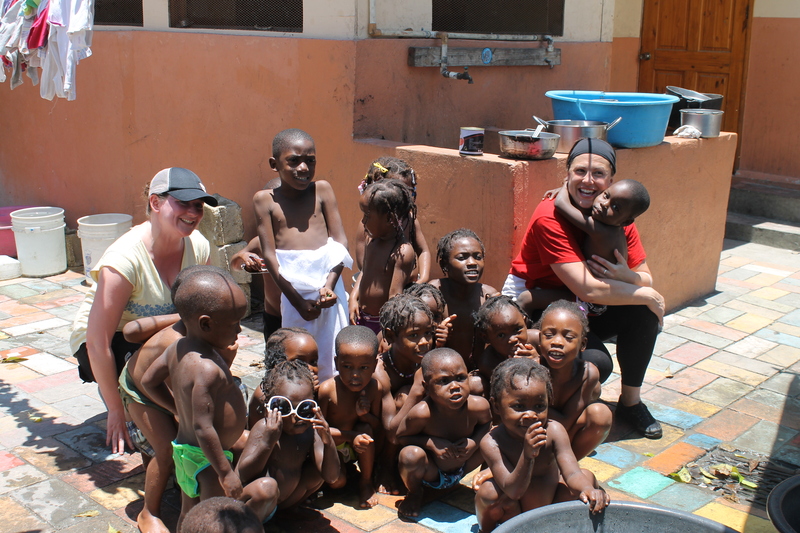 We filled up the basins with water and made sure everyone was ready with either a bathing suit or a new pair of underwear. The kids had a blast! 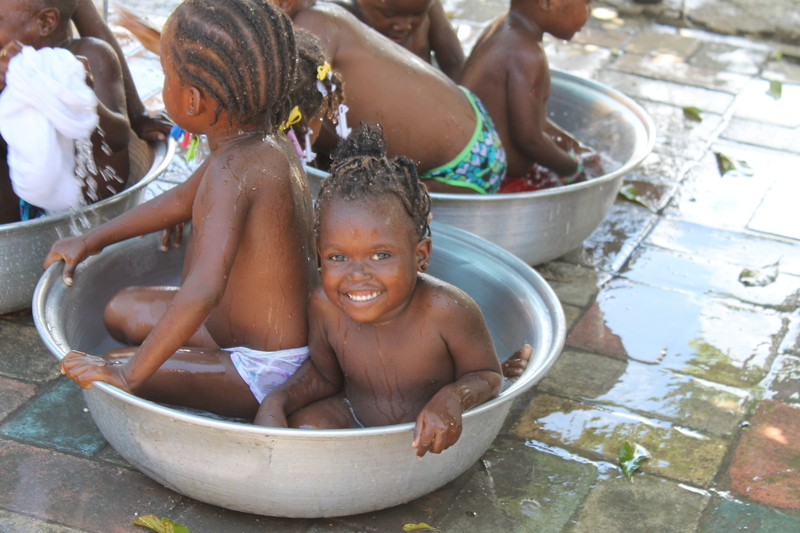 It was wonderful to see them having so much fun with something as simple as tubs of water. After they were done splashing around we dried them all off and dressed them in new clothes. We played a little bit more before it was time for them to eat. 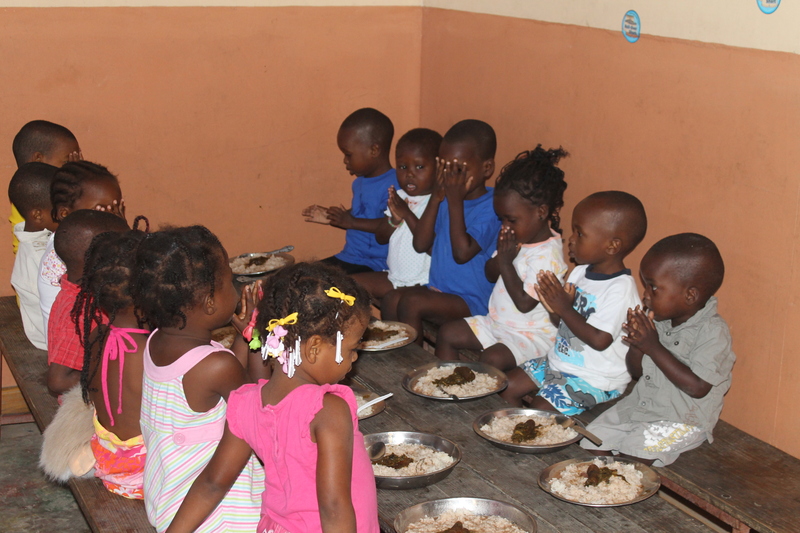 As they sat down at the table, they sang the cutest little prayer! All in all I think everyone had a good day!